For the book by Vinayak Damodar Savarkar, see Hindutva: Who Is a Hindu? Hindutva, or "Hinduness", a term coined by Vinayak Damodar Savarkar in 1923, is the predominant form of Hindu nationalism in India. The Bharatiya Janata Party (BJP) adopted it as its official ideology in 1989. It is championed by the Hindu nationalist volunteer organisation Rashtriya Swayamsevak Sangh (RSS) and its affiliate organisations, notably the Vishva Hindu Parishad, along with the older term Hindu Rashtra (translation: Hindu nation). Many Indian social scientists have described the Hindutva movement as fascist, adhering to the concept of homogenised majority and cultural hegemony. The Hindutva movement disputes such descriptions. Vinayak Damodar Savarkar, an activist interned in Ratnagiri prison in the 1920s, sought to disassociate the term Hindu from Hinduism. His tract, Essentials of Hindutva, better known under the later title Hindutva: Who Is a Hindu?, defined a Hindu as one who was born of Hindu parents and regarded India as his motherland as well as holy land. The three essentials of Hindutva were said to be the common nation (rashtra), common race (jati) and common culture/civilisation (sanskriti). Hindus thus defined formed a nation that had existed since antiquity, Savarkar claimed, in opposition to the British view that India was just a geographical entity. This notion of Hindutva formed the foundation for Savarkar's Hindu nationalism, which included in its fold the followers of all Indian religions including Buddhism, Jainism and Sikhism, but excluded the followers of "foreign religions" such as Islam, Christianity, Judaism and Zoroastrianism. It was a form of ethnic nationalism as understood by Clifford Geertz, Lloyd Fallers and Anthony D. Smith. Savarkar's formulation of Hinduness was regarded in his time as akin to a scientific discovery, a "revelation". Christophe Jaffrelot states that Savarkar's idea of Hindutva marked a "qualitative change" in Hindu nationalism. Both the terms "Hindutva" and "Hindu Rashtra" were used liberally in the Akhil Bharatiya Hindu Mahasabha, a party Savarkar became the president of in 1937. Syama Prasad Mukherjee, who served as its President in 1944 and joined the Jawaharlal Nehru Cabinet after Independence, was a Hindu traditionalist politician who wanted to uphold Hindu values but not necessarily to the exclusion of other communities. He asked for the membership of Hindu Mahasabha to be thrown open to all communities. When this was not accepted, he resigned from the party and founded a new political party in collaboration with the RSS. He understood Hinduism as a nationality rather than a community but, realising that this is not the common understanding of the term "Hindu," he chose "Bharatiya" instead of "Hindu" to name the new party, which came to be called the Bharatiya Jana Sangh. Thus, yet another term "Bharatiya" came into parlance with rough resemblance to Hindutva, which continues to be used in the successor party Bharatiya Janata Party to this day. Whereas Savarkar's Hindutva was a cultural identity and religion was considered a part of the culture, M. S. Golwalkar, who succeeded Hedgewar as the Chief of the RSS, reversed the relationship: "with us culture is but a product of our all-comprehensive religion, a part of its body and not distinguishable from it." The "all-comprehensive religion" of the Indian nation is Hinduism of which the national culture is a product. "Those only are nationalist patriots, who with the aspiration to glorify the Hindu race and Nation next to their heart are prompted [...] to achieve that goal." The rest are "traitors and enemies to the National Cause." The RSS established a number of affiliate organisations after Indian Independence to carry its ideology to various parts of the society. Prominent among them is the Vishva Hindu Parishad (VHP, World Hindu Council), set up in 1964 with the objective of protecting and promoting the Hindu religion. Being an explicitly religious organisation, the VHP had no qualms about using a Hindutva ideology, which came to mean in its hands political Hinduism and Hindu militancy. A number of political developments in the 1980s such as the militant Khalistan movement, the influx of undocumented Bangladeshi immigration into Assam, Muslim mobilisation in the Shah Bano case as well as the Satanic Verses controversy caused a sense of vulnerability among the Hindus in India. The VHP and the BJP utilised this sense of vulnerability to push forward a militant Hindutva nationalist agenda leading to the Ram Janmabhoomi movement. The BJP officially adopted Hindutva as its ideology in its 1989 Palampur resolution, reversing the 1951 move of its original founder Syama Prasad Mookerjee. This led to the unlawful demolition of the Babri Masjid by rioters in 1992. The BJP claims that Hindutva represents "cultural nationalism" and its conception of "Indian nationhood," but not a religious or theocratic concept. It is "India's identity," according to the RSS Chief Mohan Bhagwat. However, in today's terminology, "Hindu" firmly refers to the Hindu religion, not to an Indian nationality. Scholars believe that culture nationalism is just a euphemism meant to mask the creation of a state with a Hindu religious identity. According to the Oxford English Dictionary, originally Hindutva is the state or quality of being Hindu; ‘Hinduness’. In later use, it defines Hindutva as an ideology seeking to establish the hegemony of Hindus and the Hindu way of life. According to the Encyclopædia Britannica, "Hindutva ('Hindu-ness'), [is] an ideology that sought to define Indian culture in terms of Hindu values". 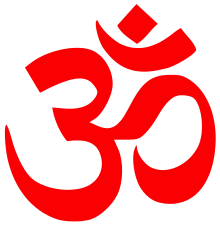 In a 1995 judgment, the Supreme Court of India ruled that "Ordinarily, Hindutva is understood as a way of life or a state of mind and is not to be equated with or understood as religious Hindu fundamentalism ... it is a fallacy and an error of law to proceed on the assumption ... that the use of words Hindutva or Hinduism per se depicts an attitude hostile to all persons practising any religion other than the Hindu religion ... It may well be that these words are used in a speech to promote secularism or to emphasise the way of life of the Indian people and the Indian culture or ethos, or to criticise the policy of any political party as discriminatory or intolerant. Hindutva is not a word but a history. Not only the spiritual or religious history of our people as at times it is mistaken to be by being confounded with the other cognate term Hinduism, but a history in full. Hinduism is only a derivative, a fraction, a part of Hindutva. ... Hindutva embraces all the departments of thought and activity of the whole Being of our Hindu race. According to this, the natives of India share a common culture, history and ancestry. M. S. Golwalkar, one of the proponents of Hindutva, believed that India's diversity in terms of customs, traditions and ways of worship was its uniqueness and that this diversity was not without the strong underlying cultural basis which was essentially native. He believed that the Hindu natives with all their diversity, shared among other things "the same philosophy of life", "the same values" and "the same aspirations" which formed a strong cultural and a civilizational basis for a nation. Savarkar similarly believed that the Indian subcontinent, which included the area south of the Himalayas and the Hindu Kush, or "Akhand Bharat" is the homeland of the Hindus. He considered as Hindus those who consider India to be their motherland, fatherland and holy land, hence describing it purely in cultural terms. RSS, one of the main votaries of Hindutva, has stated that it believes in a cultural connotation of the term Hindu. "The term Hindu in the conviction as well as in the constitution of the RSS is a cultural and civilizational concept and not a political or religious term. The term as a cultural concept will include and did always include all including Sikhs, Buddhists, and Jains. The cultural nationality of India, in the conviction of the RSS, is Hindu and it was inclusive of all who are born and who have adopted Bharat as their Motherland, including Muslims, Christians and Parsis. The answering association submit that it is not just a matter of RSS conviction, but a fact borne out by history that the Muslims, Christians and Parsis too are Hindus by culture although as religions they are not so." Emphasising historical oppression of Hindus by colonial invaders like the Muslims and the Christians and the call to reverse the cultural influence resulting from these intrusions. Adherents believe Hindu social structure "is ridden with castes and communities", and that this has led to "barriers and segregation" and condemnation of "obnoxious vice of social inequality" and "untouchability". The supporters of Hindutva have a positive outlook towards the Dalit community, which they claim to aim to bring to leadership positions in their organisations. Leaders subscribing to Hindutva have been demand a Uniform Civil Code for all the citizens of India. They believe that differential laws based on religion violate Article 44 of the Indian Constitution and have sowed the seeds of divisiveness between different religious communities. Followers of Hindutva have questioned differential religious laws in India which allows polygamy and "triple talaq" divorce among Muslims and thereby compromises on the status of Muslim women and "marginalises" them. The reversal of the decision in Mohd. Ahmed Khan v. Shah Bano Begum by Parliament by passing the Muslim Women (Protection of Rights on Divorce) Act was opposed by Hindutva organisations. The new act denied even utterly destitute Muslim divorcees the right to alimony from their former husbands. The followers of Hindutva are known for their criticism of the Indian government as too passive with regard to the ethnic cleansing of Kashmiri Hindus by Kashmiri Muslim separatists and the 1998 Wandhama massacre, and advocates of Hindutva wish a harder stance in Jammu and Kashmir. They have called for the protection of native Hindu traditions, holy structures, rivers and the animals. The votaries of Hindutva believe that the way Muslims and Hindus have treated each other in the past is a one-way compromise and they intend on making society more balanced and fair towards the majority Hindu population. The BJP has also invited Muslims to be a part of this new society. The Hindu organisations like the RSS believe that the history of India was written by the British with a condescending attitude towards the native people and their culture. M. S. Golwalkar wrote that the history of ancient India was summed up as "Tanglewood Tales". He argues that it was a deliberate British strategy to teach Indians a wrong version of history. In this context, the writings of Lord Macaulay, "the brain behind the system of English education", are referred to as an indication of this. Senior RSS leader H. V. Sheshadri refers to this attitude of "White man's burden" which he believes shaped the English education system in India and the British version of Indian history. Hindutva is commonly identified as the guiding ideology of the Hindu Nationalist Rashtriya Swayamsevak Sangh (RSS) and its affiliated family of organisations (Sangh Parivar). In general, Hindutvavadis (followers of Hindutva) believe that they represent the well-being of Hinduism, Sikhism, Buddhism, Ayyavazhi, Jainism and all other religions prominent in India. The major political wing is the BJP which was in power in India's Central Government for six years from 1998 to 2004 and is currently the ruling party of India with Narendra Modi as the Prime Minister. As of June 2013 it is in power in the states of Gujarat, Madhya Pradesh, Rajasthan and Chhattisgarh. It is an alliance partner in the states of Punjab, and Goa. BJP ended its alliance with JDU in Bihar in June, 2013. Political parties pertaining to the Hindutva ideology are not limited to the Sangh Parivar. Examples of political parties independent from the Sangh's influence but espouse the Hindutva ideology include Prafull Goradia's Akhil Bharatiya Jana Sangh, Subramanian Swamy's Janata Party and the Marathi nationalist Shiv Sena. The Shiromani Akali Dal is a Sikh religious party, but maintains ties with Hindutva organisations, as they also represent Sikhism. Rajeev Menon, National President of the Hindu Mahasabha, is active in South Indian States like Karnataka, Andhra Pradesh, Kerala and Tamil Nadu. The opponents of Hindutva philosophy consider Hindutva ideology as a euphemistic effort to conceal communal beliefs and practices. Many Indian social scientists have described the Hindutva movement as fascist in classical sense, in its ideology and class support specially targeting the concept of homogenised majority and cultural hegemony. The Hindutva movement on the other hand terms such description as coming from the far left. Critics have used the political epithets of "Indian fascism" and "Hindu fascism" to describe the ideology of the Sangh Parivar. For example, Marxist social scientist Prabhat Patnaik has written that the Hindutva movement as it has emerged is "classically fascist in class support, methods and programme." Patnaik bases this argument on the following "ingredients" of classical fascism present in Hindutva: the attempt to create a unified homogeneous majority under the concept of "the Hindus"; a sense of grievance against past injustice; a sense of cultural superiority; an interpretation of history according to this grievance and superiority; a rejection of rational arguments against this interpretation; and an appeal to the majority based on race and masculinity. The description of Hindutva as fascist has been condemned by pro-Hindutva authors such as Koenraad Elst who claim that the ideology of Hindutva meets none of the characteristics of fascist ideologies. Claims that Hindutva social service organisations such as the Rashtriya Swayamsevak Sangh are "fascist" have been disputed by academics such as Vincent Kundukulam. Academics Chetan Bhatt and Parita Mukta reject the identification of Hindutva with fascism, because of Hindutva's embrace of cultural rather than racial nationalism, because of its "distinctively Indian" character, and because of "the RSS’s disavowal of the seizure of state power in preference for long-term cultural labour in civil society." They instead describe Hindutva as a form of "revolutionary conservatism" or "ethnic absolutism". V.S. Naipaul also rejects these allegations and views the rise of Hindutva as a welcome, broader civilizational resurgence of India. 1 2 3 Sharma, Arvind (2002). "On Hindu, Hindustan, Hinduism and Hindutva". Numen. 49: 1–36. doi:10.1163/15685270252772759. JSTOR 3270470. ↑ Andersen & Damle 1987, p. 33. ↑ Jaffrelot 1996, pp. 12-13. Preface to the 4th edition of Hindutva: Who is a Hindu? : "the definition of [Hindutva] acted as does some scientific discovery of a new truth in re-shaping and re-co-ordinating all current Thought and Action... At its touch [sic] arose an organic order where a chaos of castes and creeds ruled." Swami Shraddhanand: "It must have been one of those Vaidik dawns indeed which inspired our Seers with new truths, that revealed to the author of Hindutva this Mantra... this definition of Hindutva!!" ↑ Jaffrelot 1996, pp. 32. ↑ Andersen & Damle 1987, p. 34. ↑ Kelkar, D. V. (4 February 1950). "The R.S.S." (PDF). Economic Weekly. Retrieved 2014-10-26. ↑ Goyal 1979, Appendix V.
↑ Katju 2013, pp. 3-4. ↑ Jaffrelot 1996, pp. 326-327. ↑ Jaffrelot 1996, p. 343. ↑ Krishna 2011, p. 324. ↑ 'Timeline: Ayodhya crisis', BBC News, October 17, 2003. ↑ Augustine 2009, p. 69. ↑ Hindutva Oxford English Dictionary, 2011. ↑ "Bharatiya Janata Party (BJP)". Encyclopedia Britannica. Retrieved 24 September 2014. ↑ "Quoting RSS General Secretary's reply to the Tribunal constituted under the Unlawful Activities (Prevention) Act 1967 to hear the case on the RSS". Organiser. 6 June 1993. ↑ M. G. Chitkara 2004, Rashtriya Swayamsevak Sangh, Published by APH Publishing, ISBN 81-7648-465-2, ISBN 978-81-7648-465-7 (Quoting Late RSS leader Balasaheb Deoras "If untouchability is not a sin, nothing is a sin"). ↑ "Organise under Dalit leadership: RSS to Hindus". The Times of India. 24 July 2006. ↑ "BJP calls for Uniform Civil Code". expressindia.com. Press Trust of India. 15 April 2006. ↑ Press Trust of India (2003-08-02). "Muslim leaders oppose uniform civil code". Express India. Retrieved 2014-08-18. ↑ "Uniform civil code will divide the country on communal lines: Congress". Rediff on the Net. ↑ Bipin Bibari Ratho (1 June 2008). "Uniform Civil Code awaits enactment for the past six decades". Organiser. ↑ "The Shah Bano legacy". The Hindu. 10 August 2003. ↑ Mahendra Singh Rana (2006). India Votes: Lok Sabha & Vidhan Sabha Elections 2001-2005. p. 115. ↑ H. V. Sheshadri. Tragic Story of Partition. Sahitya Sindhu Prakashana. ↑ "Latest India News & World News Headlines". Yahoo News India. Archived from the original on 5 November 2004. ↑ Subramanian Swamy (10 April 2013). "India can be revived if 'Hindutva' is voted with majority". Forum for Hindu Awakening. ↑ "Shiv Sena for PM with Hindutva view". Hindustan Times. 27 April 2013. ↑ SAD-BJP Alliance helped bridge Hindu Sikh gap Indian Express, 19 January 1999 Archived 17 February 2015 at the Wayback Machine. 1 2 3 Prabhat Patnaik (1993). "Fascism of our times". Social Scientist. 21 (3/4): 69–77. doi:10.2307/3517631. JSTOR 3517631. ↑ "RSS neither Nationalist nor Fascist, Indian Christian priest's research concludes". Christian Post. 19 December 2003. Archived from the original on 21 October 2006. Retrieved 6 March 2015. ↑ Chetan Bhatt; Parita Mukta (May 2000). "Hindutva in the West: Mapping the Antinomies of Diaspora Nationalism". Ethnic and Racial Studies. 23 (3): 407–441. doi:10.1080/014198700328935. Augustine, Sali (2009). "Religion and Cultural Nationalism: Socio-Political Dynamism of Communal Violence in India". In Erich Kolig; Vivienne S. M. Angeles; Sam Wong. Identity in Crossroad Civilisations. Amsterdam University Press. pp. 65–83. ISBN 978-90-8964-127-4. Golwalkar, M. S. (2007) . "We, or our Nationhood Defined (Extracts)". In Christophe Jaffrelot. Hindu Nationalism - A Reader. Princeton University Press. ISBN 0-691-13097-3. Pandey, Gyanendra (1993). "Which of Us are Hindus?". In Gyanendra Pandey. Hindus and Others: The Question of Identity in India Today. New Delhi: Viking. pp. 238–272. Panikkar, K. N. (13 March 2004). "In the Name of Nationalism". Frontline. Retrieved 2015-02-20. Webb, Adam Kempton, Beyond the global culture war: Global horizons, CRC Press (2006), ISBN 978-0415953139. Goel, Sita Ram: Perversion of India's Political Parlance. Voice of India, Delhi 1984. Tembarai Krishnamachari, Rajesh: Call for an intellectual kshatriya South Asia Analysis Group, Paper 883, Jan 2004.